An effective waste management system is comprehensive, and focuses on reducing waste, reusing valuable materials, and recycling in Atlanta . Commercial processes, particularly those used in the restaurant and hotel industry, tend to generate a lot of waste, and require regular, costly waste disposal. Developing an effective waste management program that will significantly reduce your waste disposal costs, as well as offer these other great advantages. A comprehensive waste management program affords you the tools and resources to critically evaluate the amount of waste you generate. You can then implement waste reduction strategies that will significantly reduce your waste disposal costs. This may include using refillable dispensers for soap, shampoo, and conditioner in bathrooms, using washable and reusable cloth products and dishware, switching to LED lighting, using filtered water instead of bottles, reducing and reusing packaging supplies, and reducing the amount of paper products used when printing or distributing materials. A recycling program will reduce your waste disposal costs and benefit the environment. 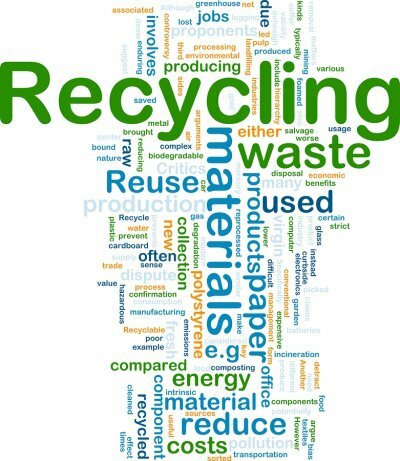 Recycling centers can recycle paper, cardboard, metal, film, plastic, electronics, food waste, fryer oil, wood, and glass. Implementing an effective recycling program will also make your company more attractive to customers and clients, as the majority of people appreciate eco-friendly business practices. Make sure that you place recycling bins in prominent, convenient areas, and clearly post recycling facts and information in common areas for your employees and customers to reference. Though your company may no longer be able to use an item, it can still be valuable to others in the community. You can donate reusable items to charitable organizations, and provide a direct benefit to community members in need. Food waste can be used by farmers, or as composting for community gardens. Furniture, electronics, blankets, linens, towels, and old employee uniforms can be donated to animal shelters, homeless shelters, and other relief agencies. Packaged food can be donated to the food bank or local shelters or soup kitchens. What Are the Parts of a Commercial Waste Management System? Commercial waste management services consist of recycling programs, analyzing waste production, reducing waste, and waste disposal in Atlanta . 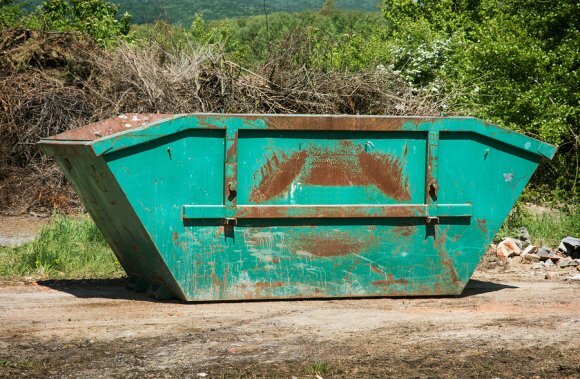 Your waste management company will provide you with trash cans, dumpster rentals, and recycling bins that are large enough to meet the needs of your waste and recycling volume, as well as your trash pickup, waste disposal, and recycling schedule. Trashcans should be placed in convenient areas around your building, and should be easily accessible to employees and guests. Employees should know how often the trashcans should be emptied in outdoor dumpsters. They should also be aware of your company’s trash pickup schedule. Recycling bins should also be easily accessible, and employees and guests should have access to your company’s recycling facts and information. Roll off dumpsters may be included in your waste disposal program, and should be placed far enough away from the building that the noise and smell won’t affect employees or guests. You should schedule your trash pickup frequently enough that the dumpsters aren’t completely full or overflowing when the trash company comes. This will prevent the dumpsters from smelling or becoming unusable. Factories, warehouses, and automotive centers are responsible for the majority of industrial waste in Atlanta . 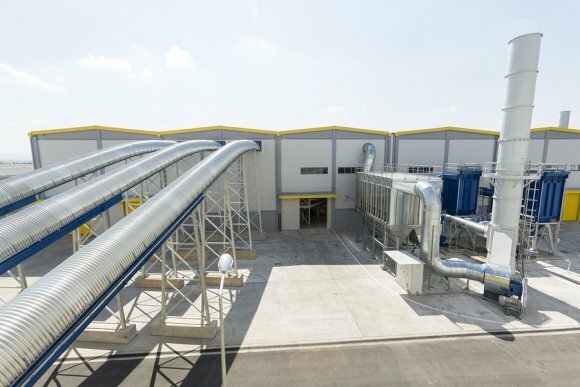 In order to maintain the safety, cleanliness, and efficiency of an industrial building, it’s crucial to have a comprehensive waste management program. A comprehensive waste management program consists of reducing waste production and waste disposal costs, reusing or donating reusable materials, and implementing a strong recycling program. Your waste management company should provide you with dumpsters and recycling bins that are large enough to meet your needs. Make sure that these are strategically placed so that they are easily accessed by employees, yet won’t impede efficiency or safety. Your waste management company should also provide you with statistical information about the volume and type of waste you produce, so that you can efficiently and effectively schedule waste disposal, trash pickup, and recycling services. Your employees should be aware of the details of your recycling program, and should have access to all crucial recycling facts. They should understand which materials can be recycled, and which can be reused. They should also understand important waste reduction strategies.